The Georgia State University Saxophone Studio and Boss Music Studios, Inc. are pleased to announce a new consortium opportunity. The consortium will be comprised of eight saxophone studios/organizations led by the GSU Saxophone Studio. The piece will be for a Large Saxophone Ensemble (10-12 instruments), 7-9 minutes in length. We are pleased to announce that there are still spaces left to take a special part of this exciting opportunity. The buy-in for the consortium will be $500, paid in two installments of $250. The deadline to submit signed contacts and the first installment of $250 is December 15, 2018. 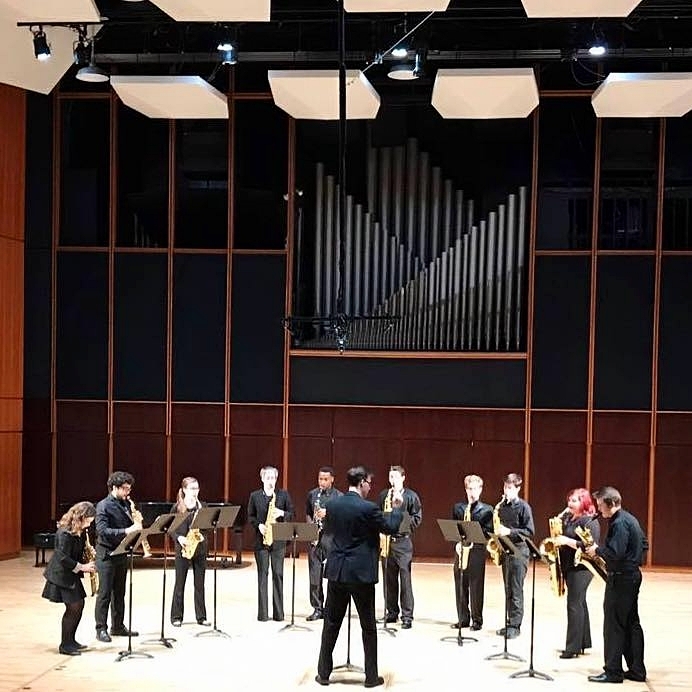 The Georgia State Saxophones and I invite you to join this consortium and bring a new work for saxophone ensemble to life!